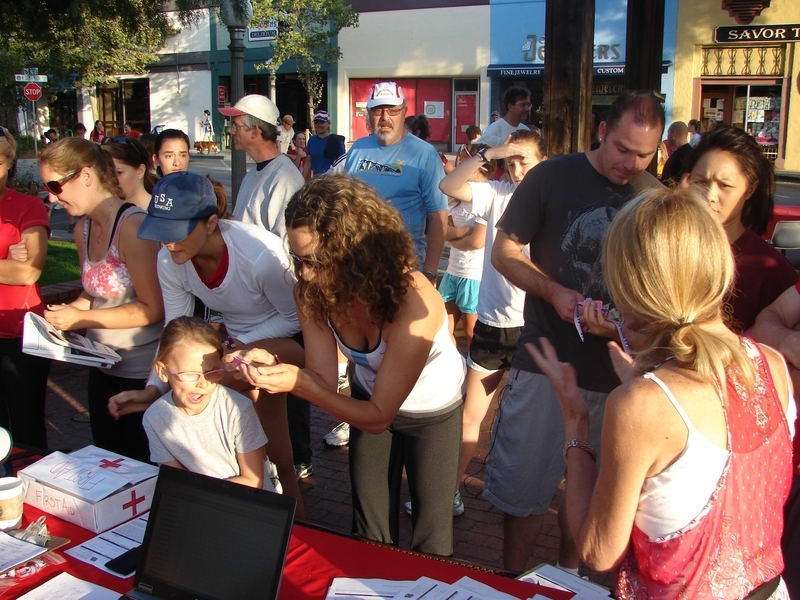 More than 100 people pre-registered to be part of this first time event, and with walk-ins, I wouldn’t be surprised if it were closer to 150 who participated. 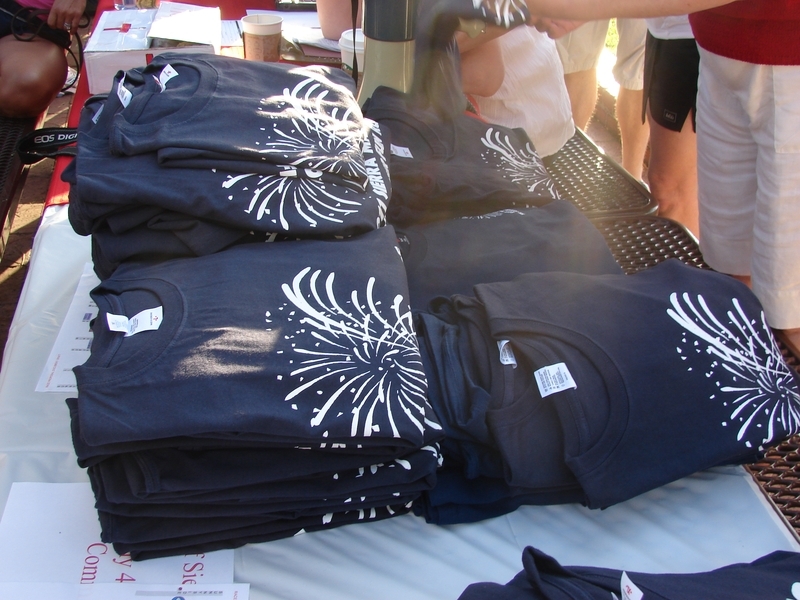 No timers, nothing “official,” but there were t-shirts and an early morning run for those who did it. 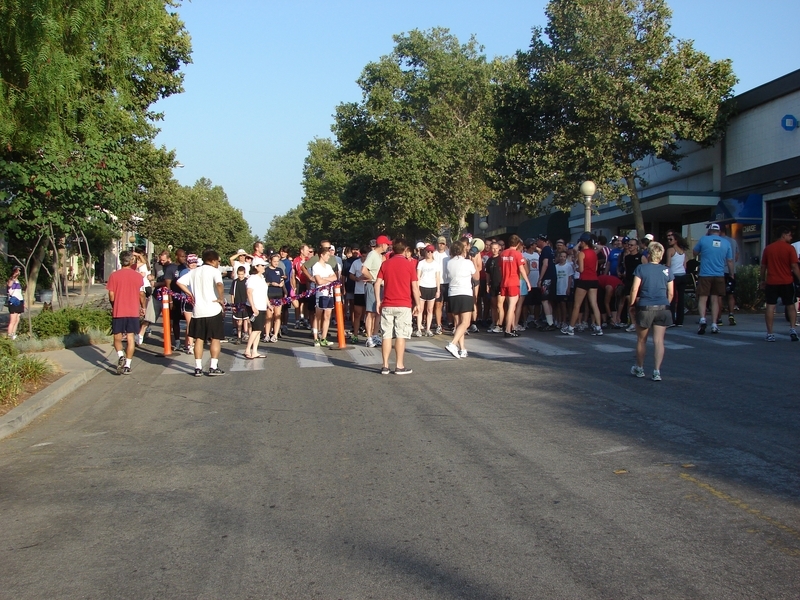 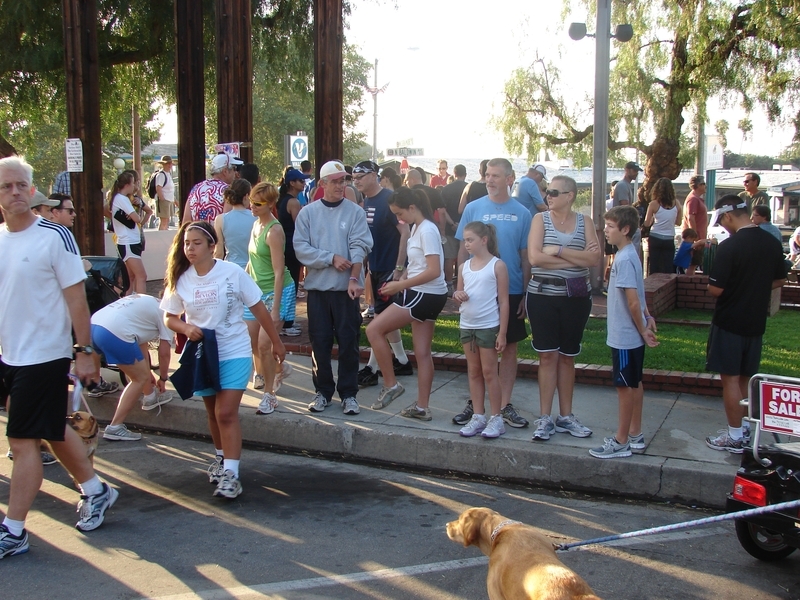 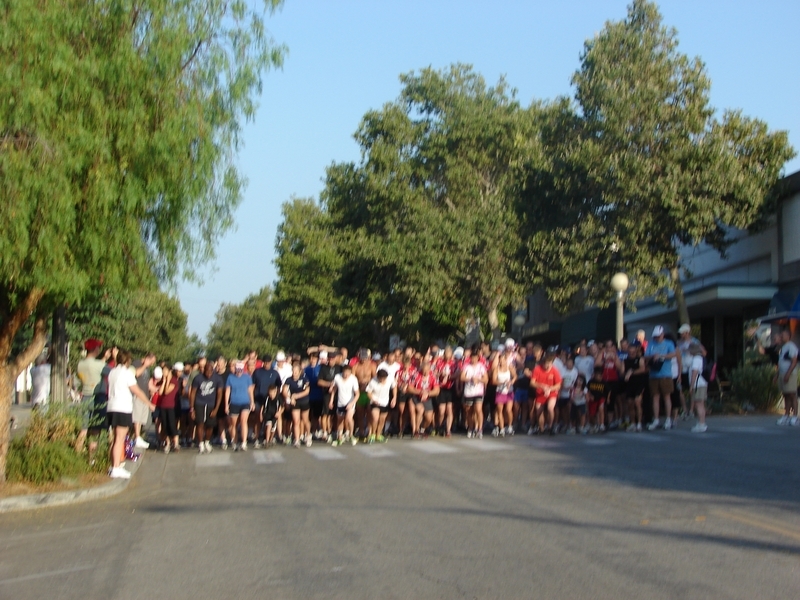 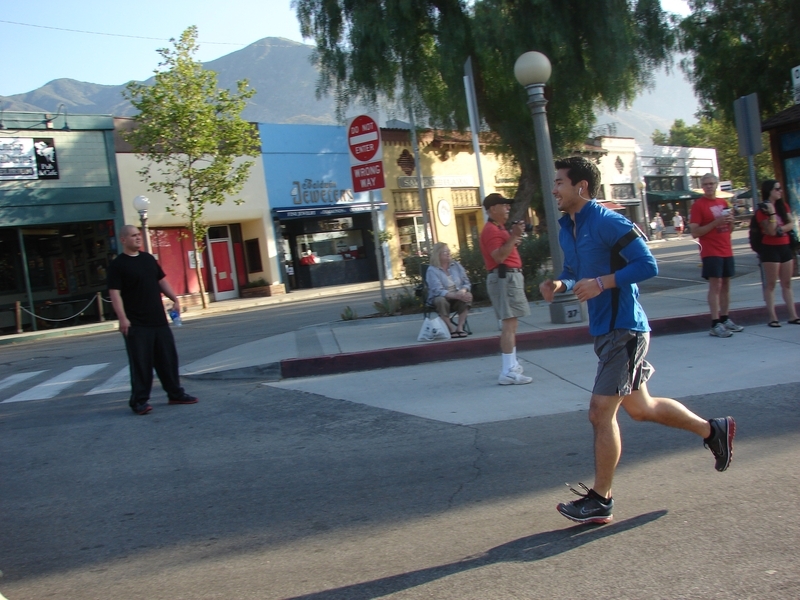 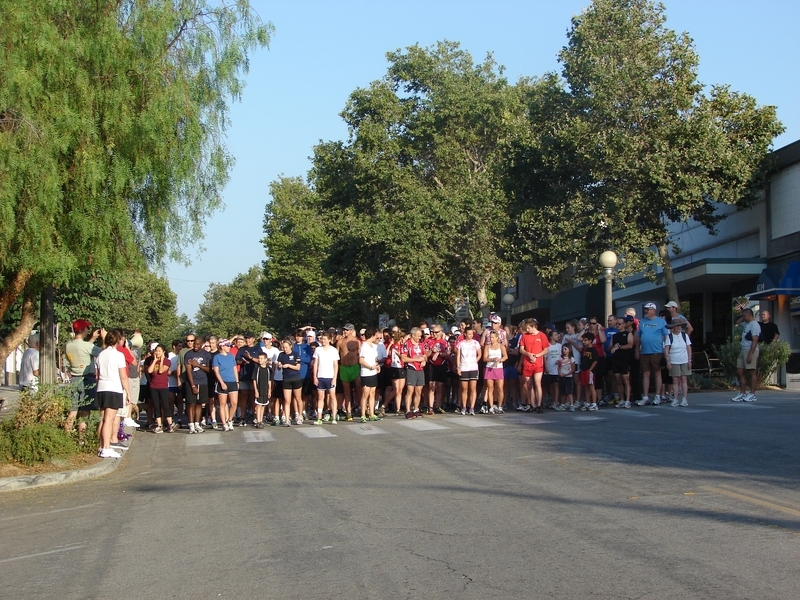 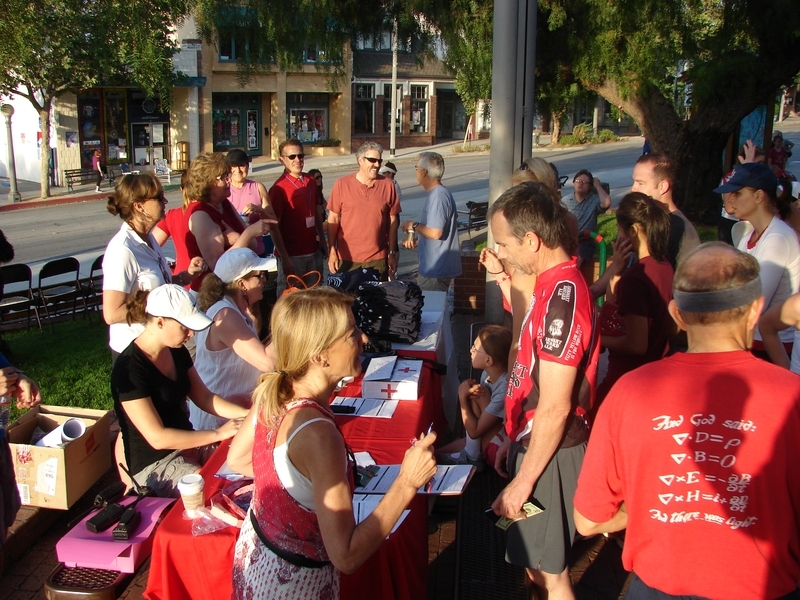 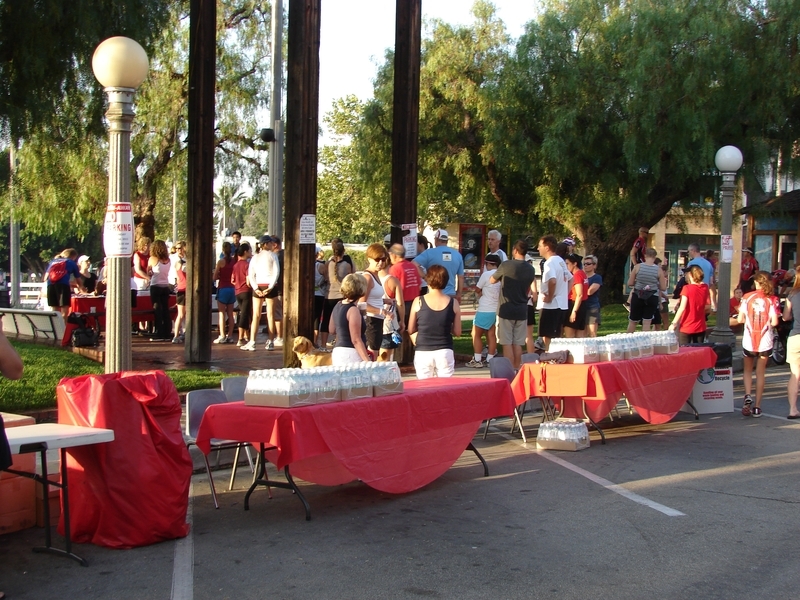 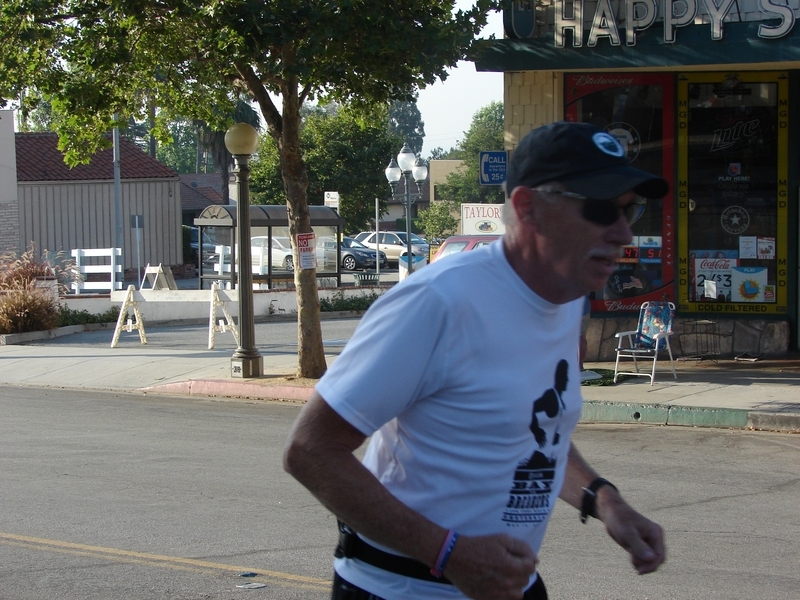 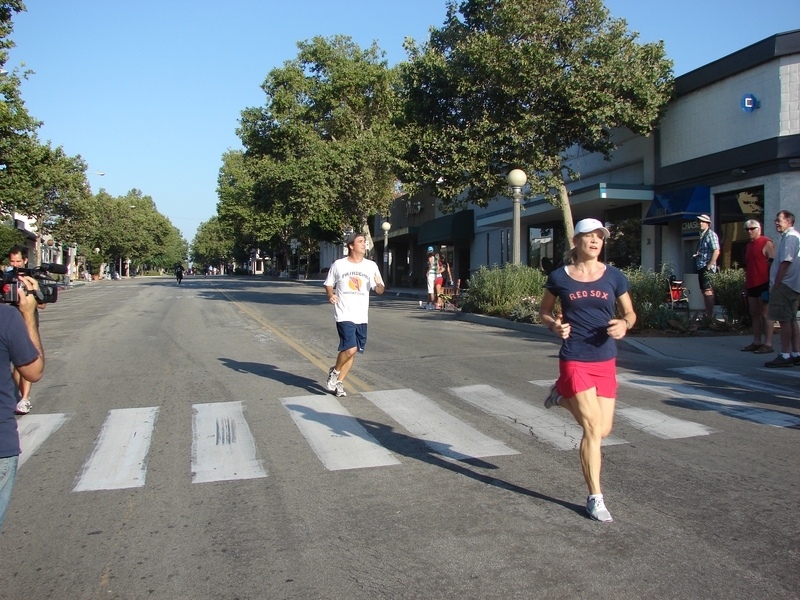 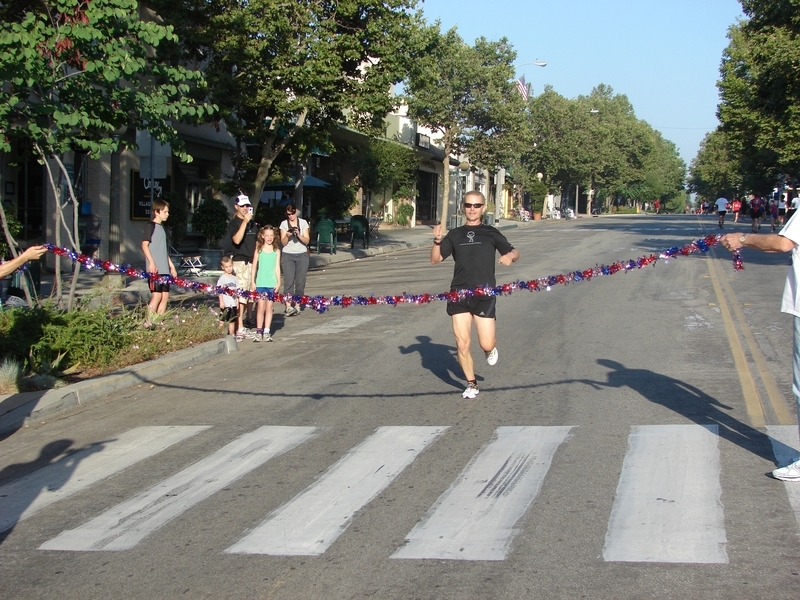 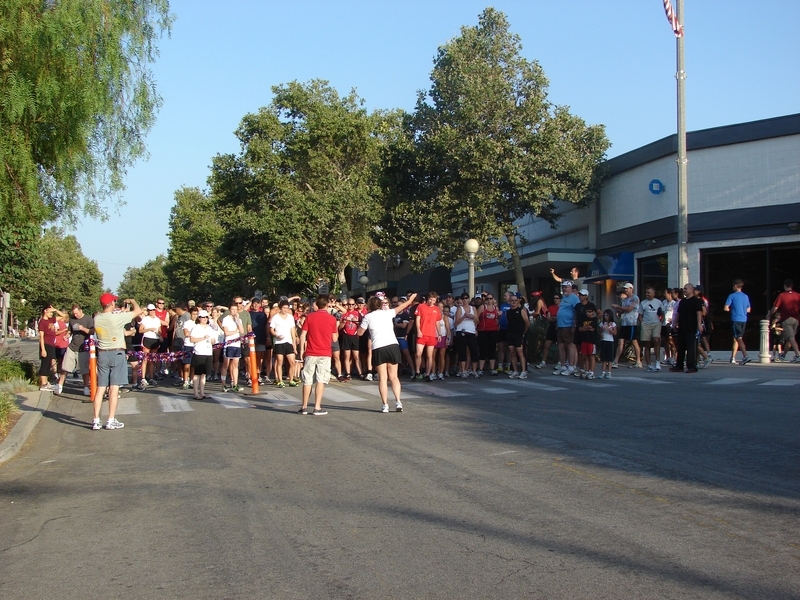 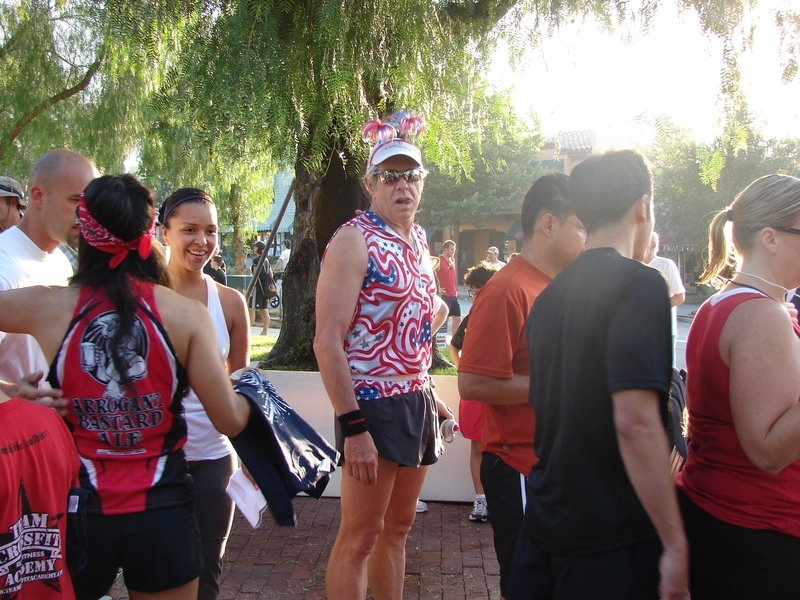 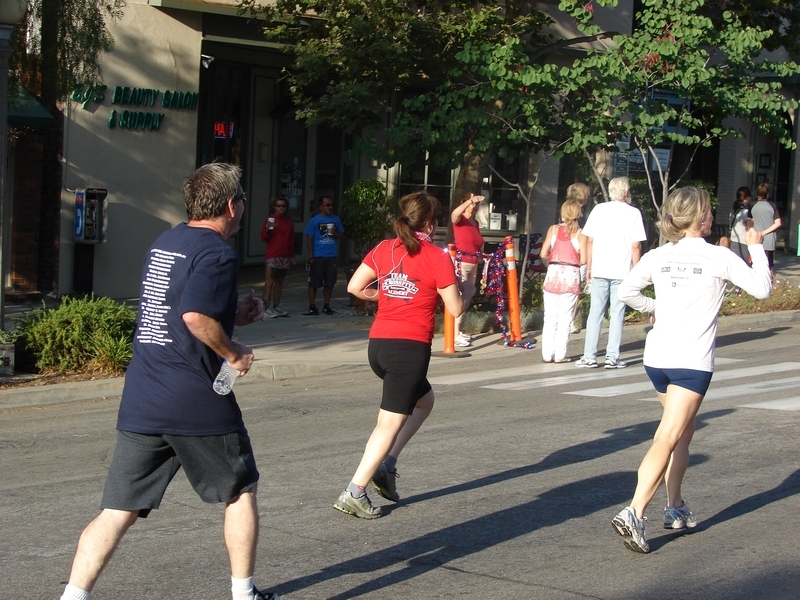 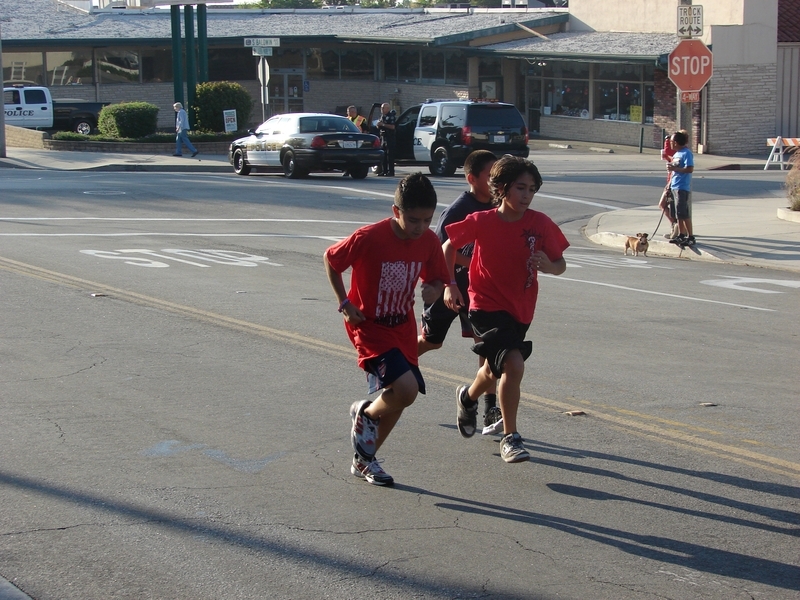 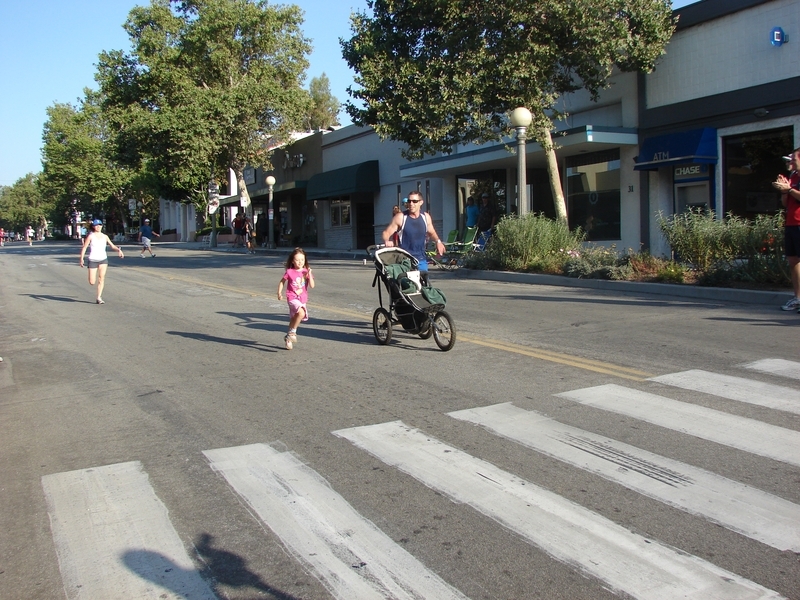 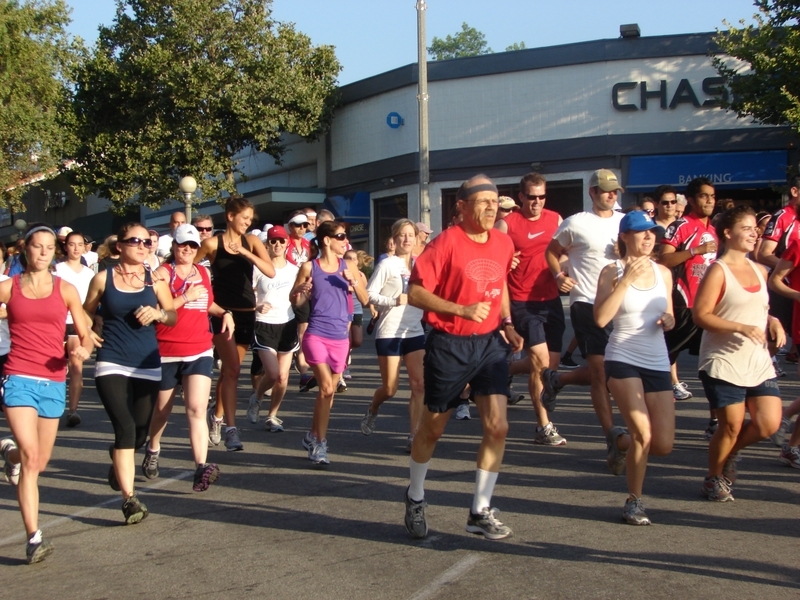 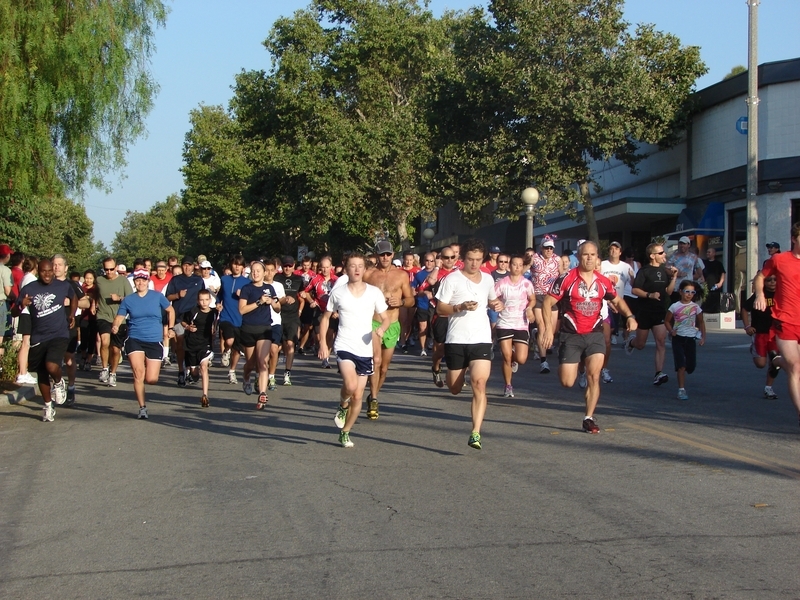 This year the Sierra Madre July 4th Committee and the Spero Foundation hosted the inaugural Sierra Madre 5K Fun Run. 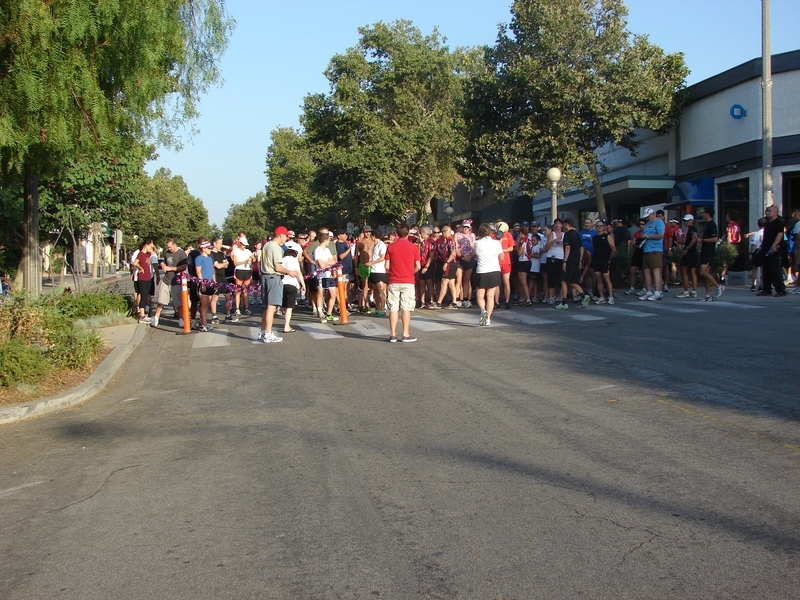 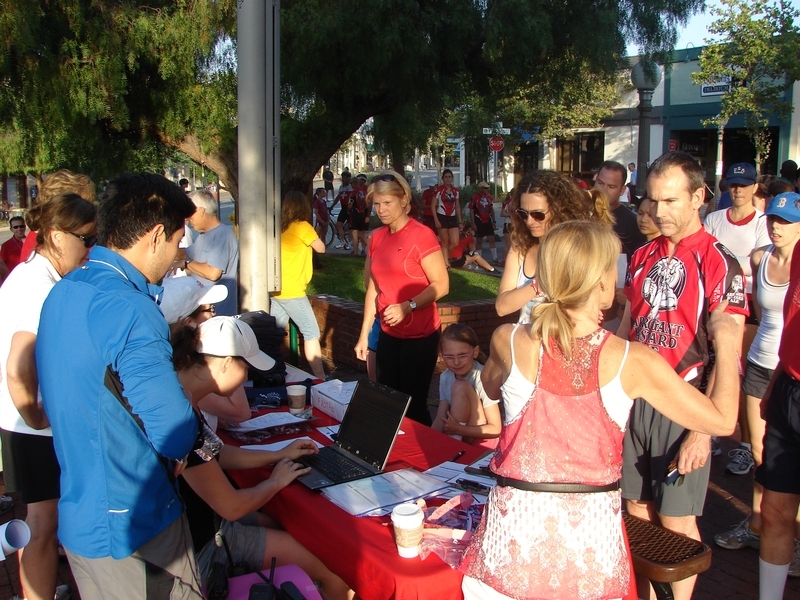 With the streets blocked in anticipation of the annual July 4th parade; over 100 pre-registered runners arrived at Kersting Court at 6:00 am to check in and our same day registrations pushed the number of runners close to the 200 mark. 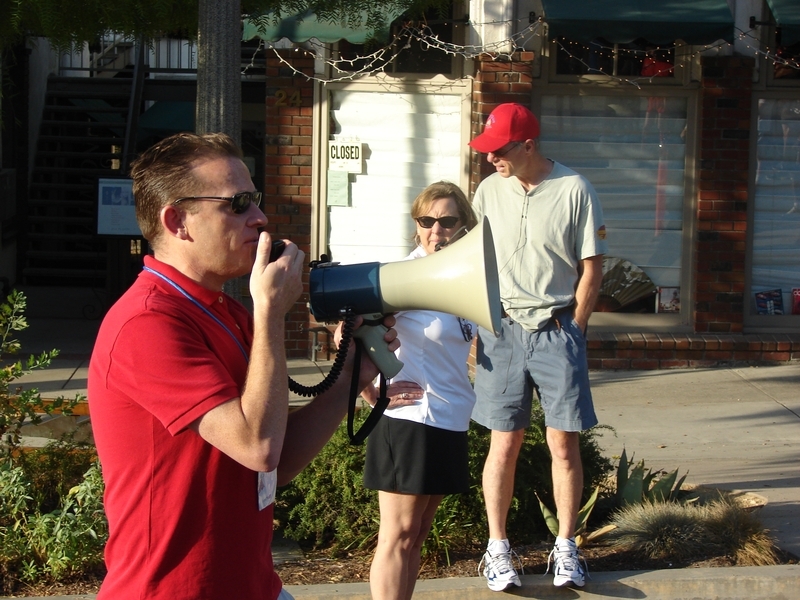 Jerry Carlton was our race starter and at 7:00am the race began. 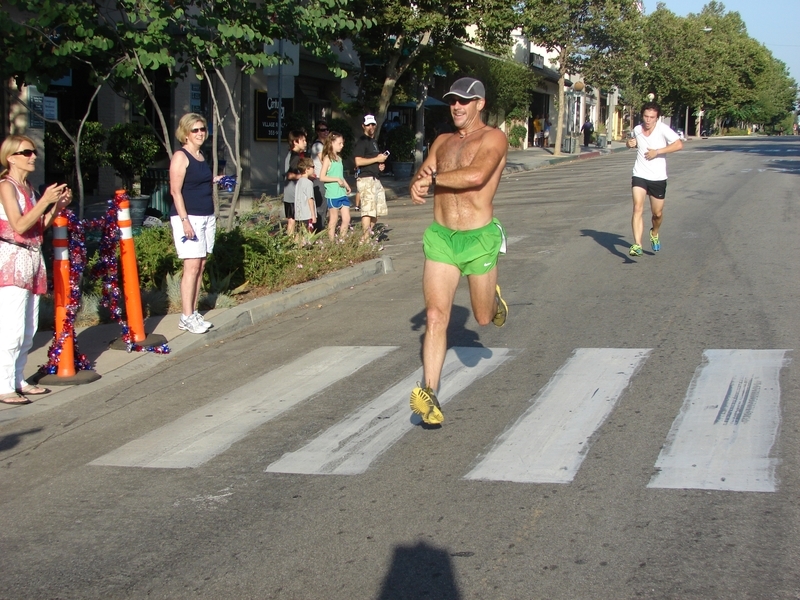 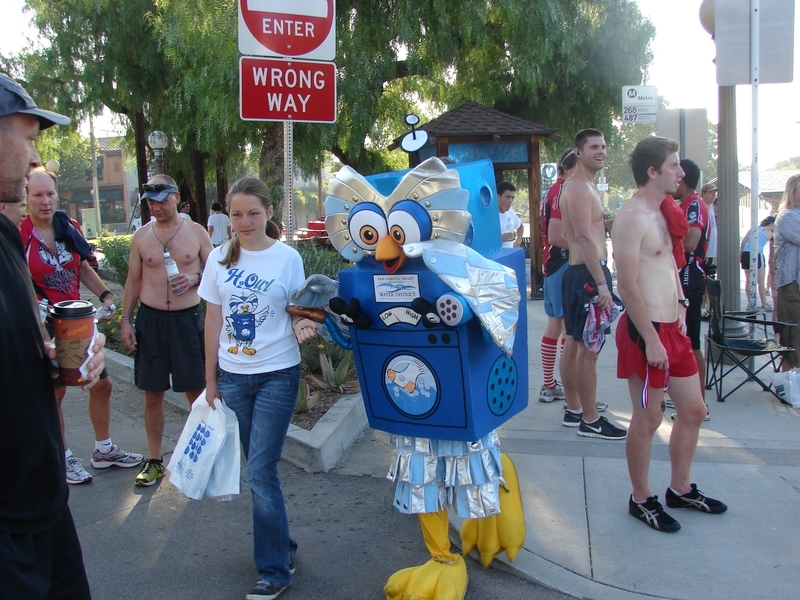 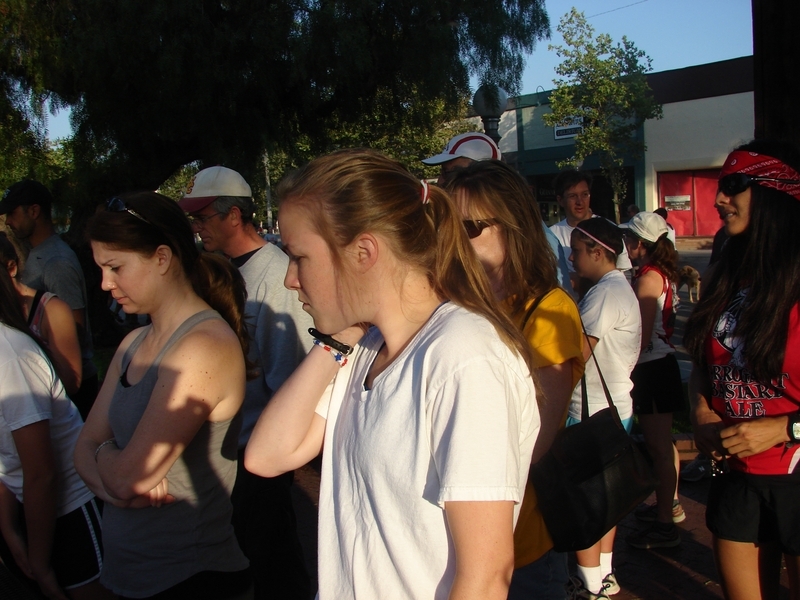 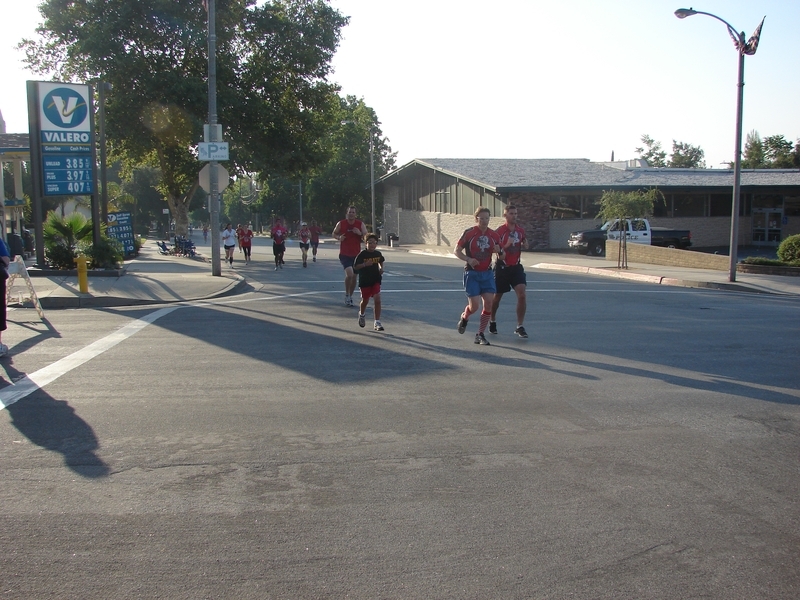 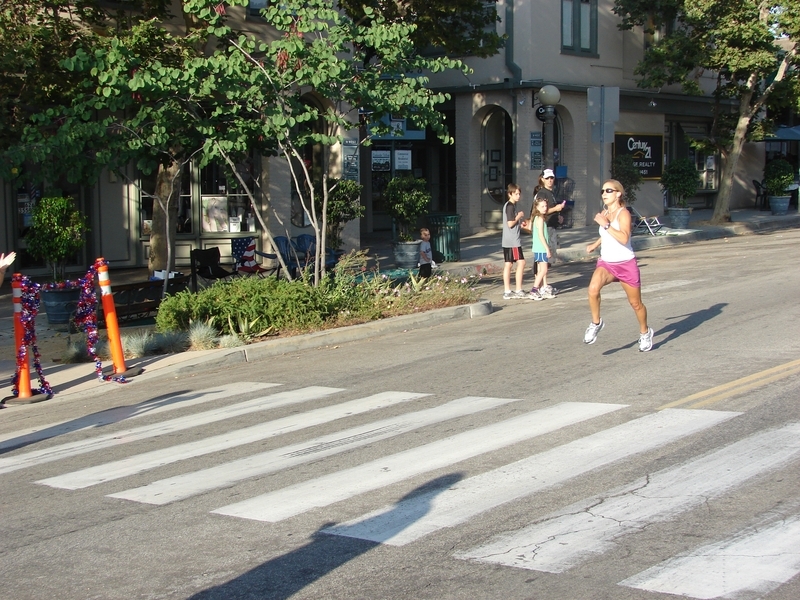 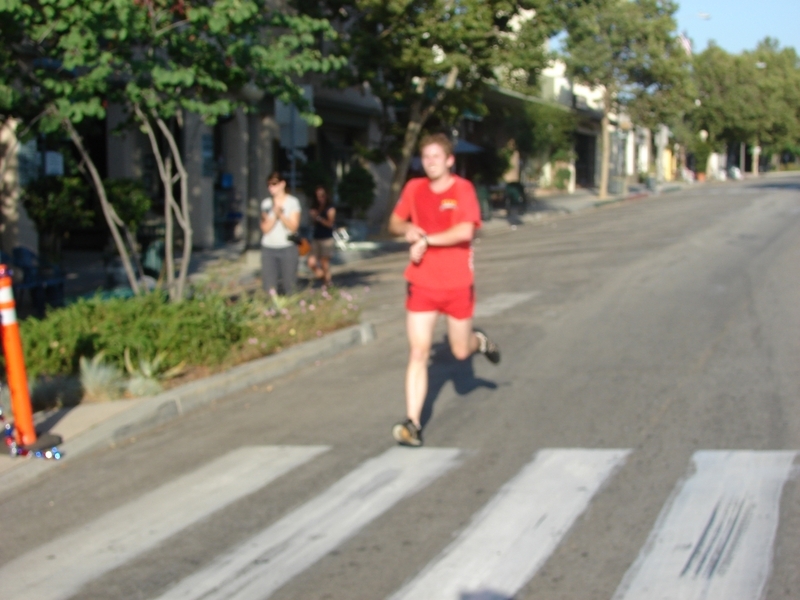 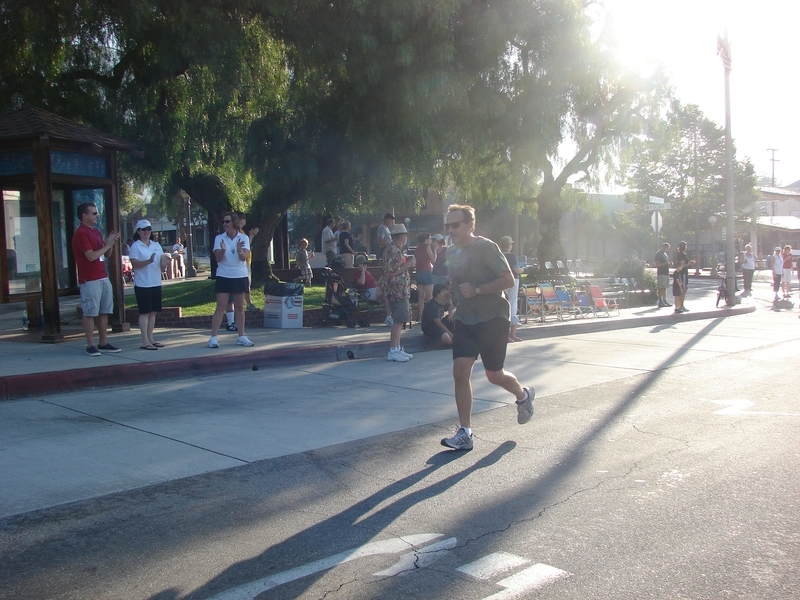 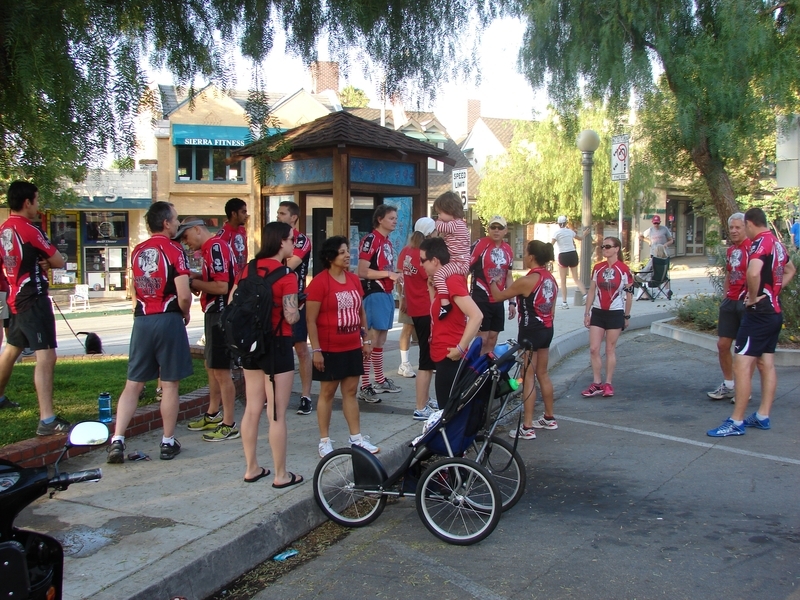 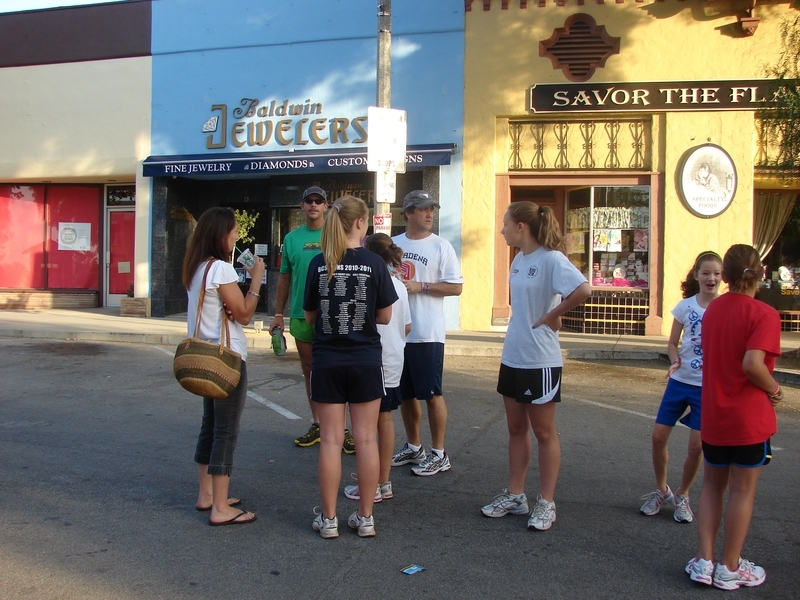 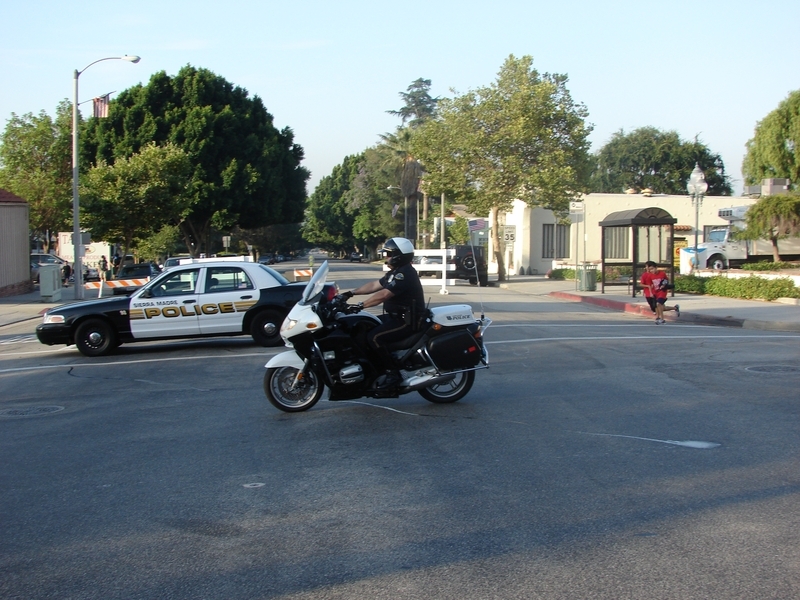 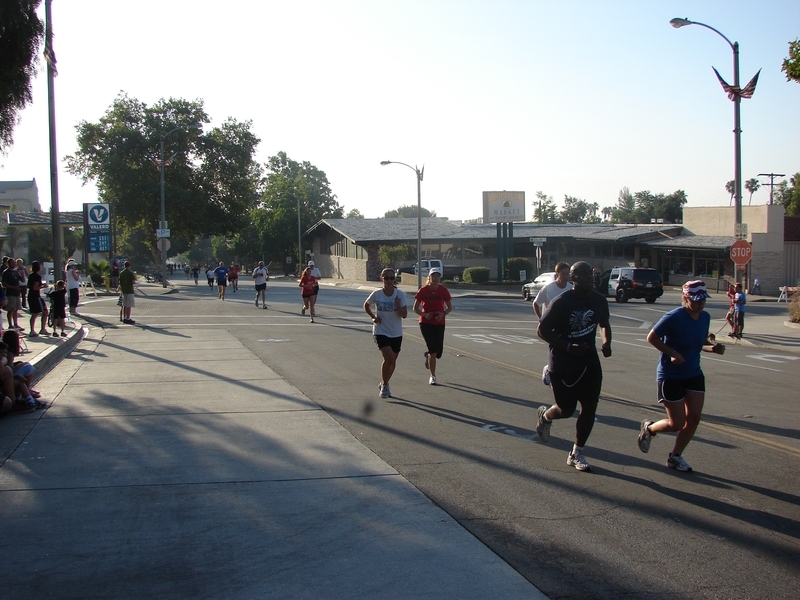 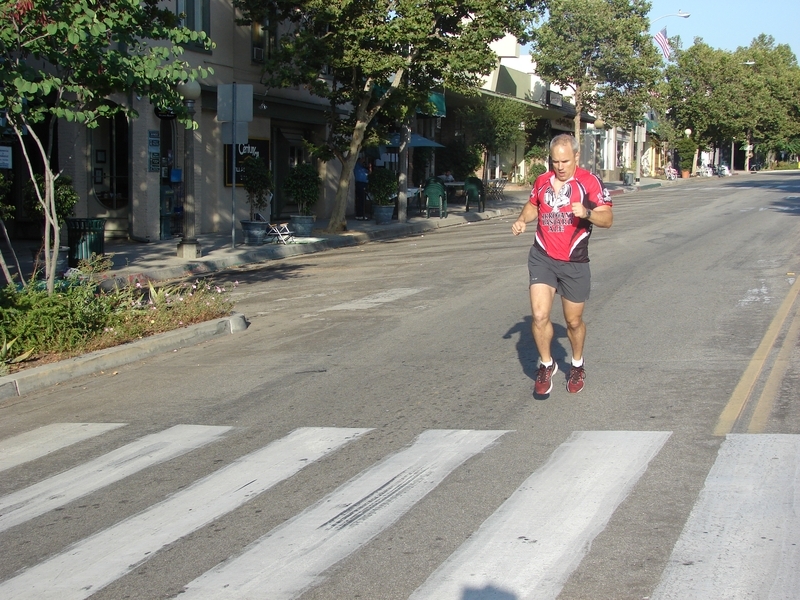 Our 5K course sent the runners from Kersting Court east on Sierra Madre Boulevard. 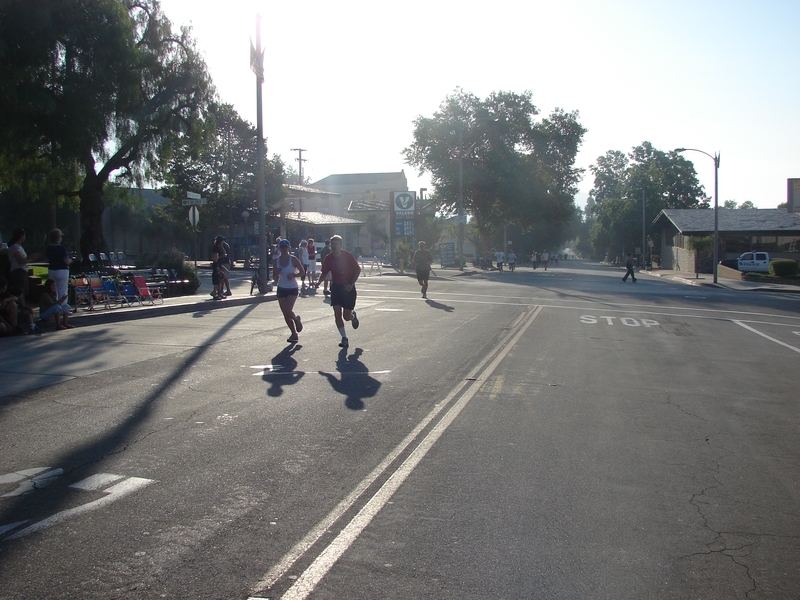 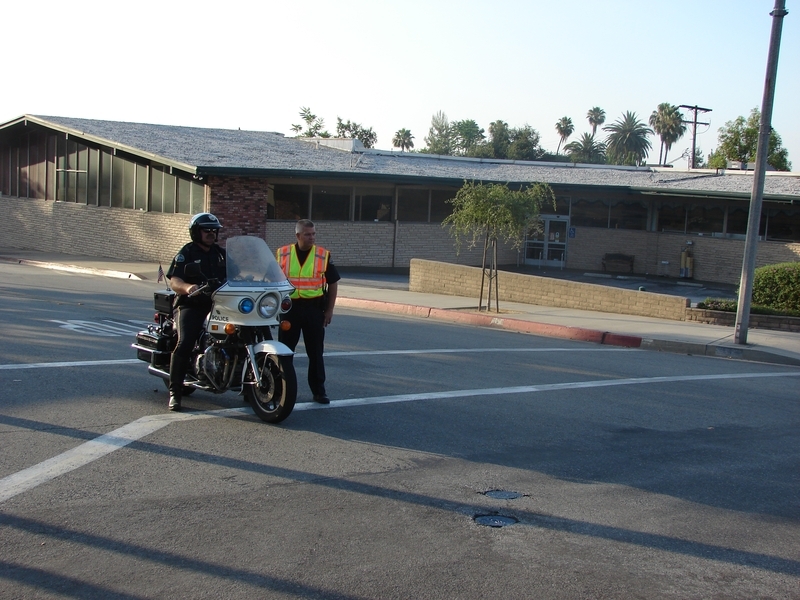 They made the turn-around at Sierra Vista Park and returned on Sierra Madre Boulevard to Sunnyside, where they made a u-turn and returned to the finish line at Kersting Court. 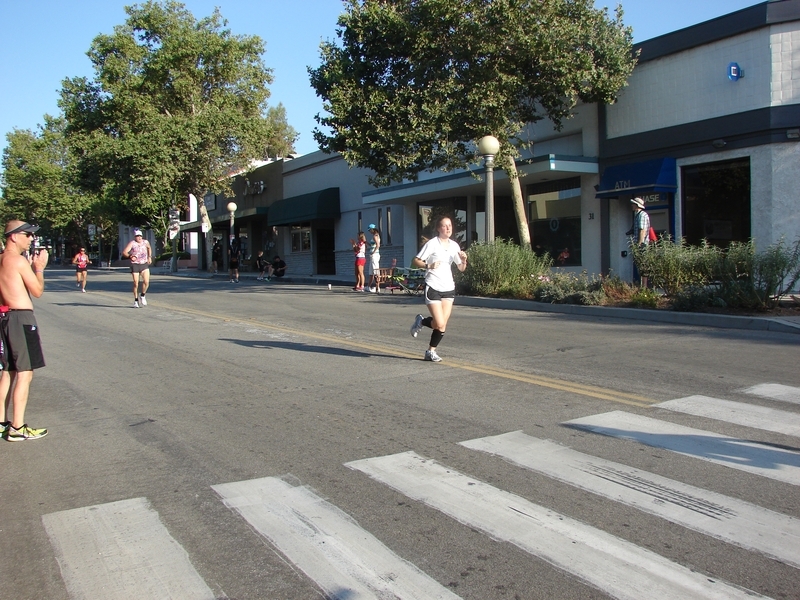 Medal winners of this year’s inaugural run were given in the following four categories: Male 18 years and older: 1st Place: Simon Cooper and 2nd place: Colin Hurlbut. 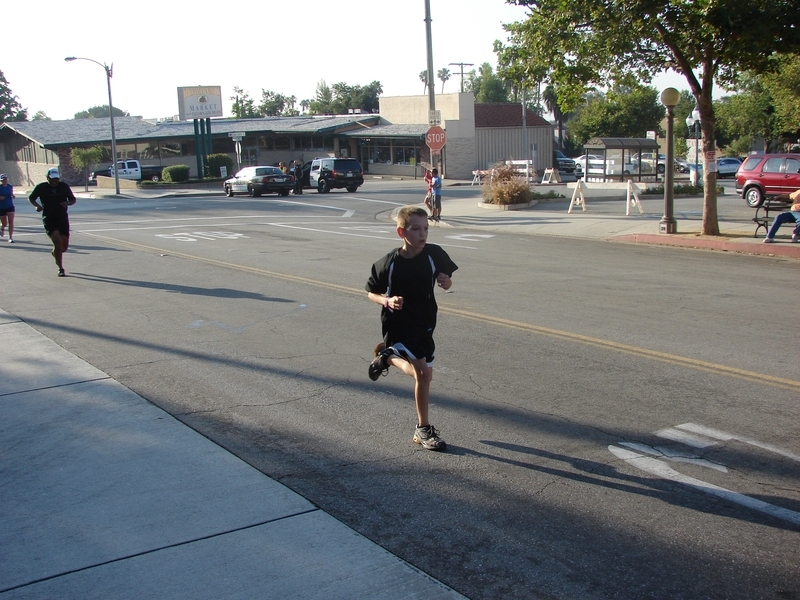 Male 17 years and under: 1st place Spencer Mc Faul, 2nd place Jack Griffin. 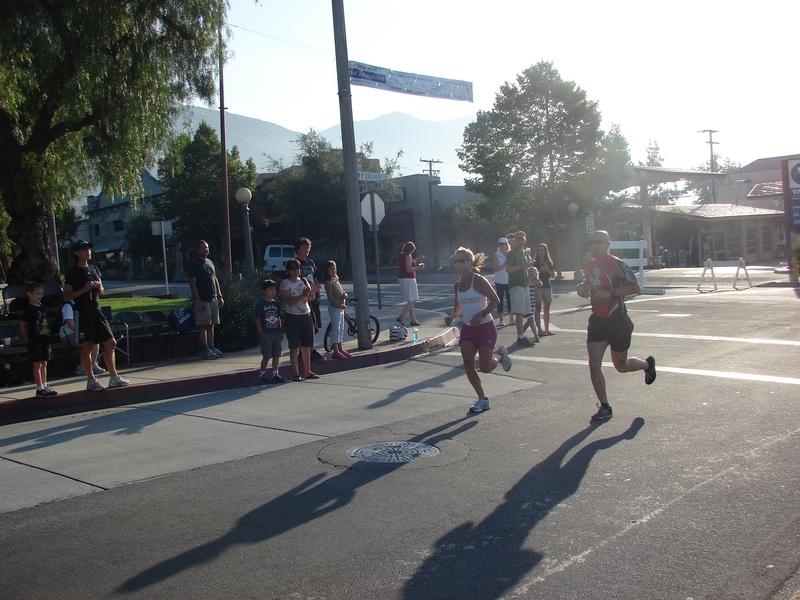 Female 18 years and older: 1st Place Jill Liston and 2nd Place Jill Riehl. 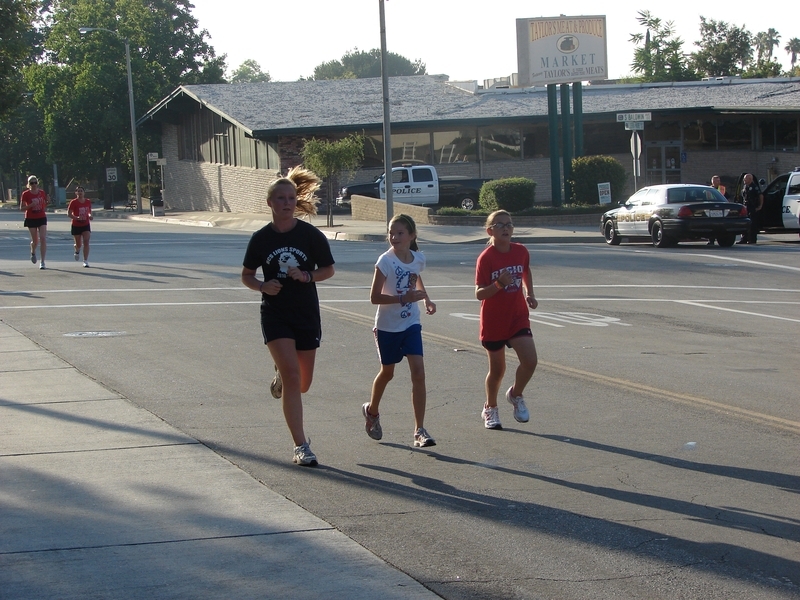 Female 17 years and under: 1st place Natalie O’Brien and 2nd Place Thamra Peterson. 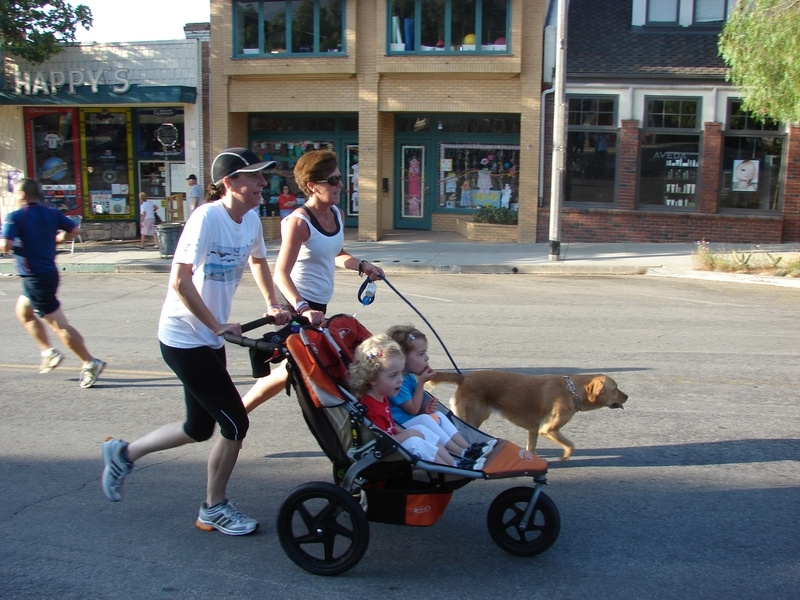 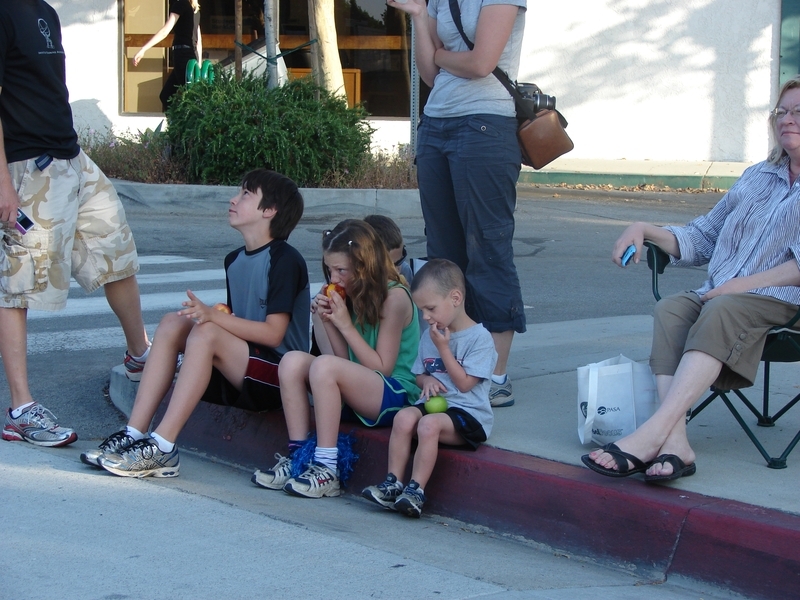 In addition, participation ribbons were given to all children in strollers. 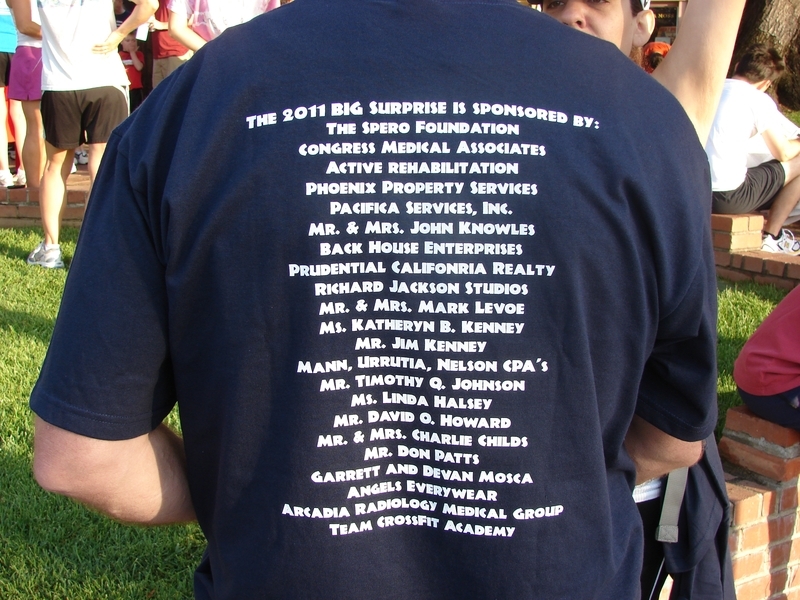 The Sierra Madre July 4th committee thanks the generous sponsors and all the volunteers that helped make this inaugural run a safe and fun event. 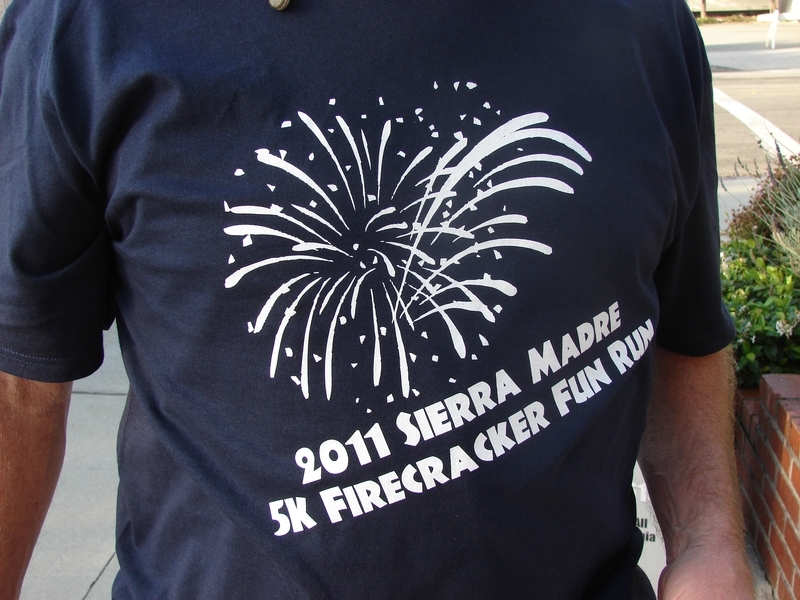 Proceeds raised will support the July 4th committee for future events.